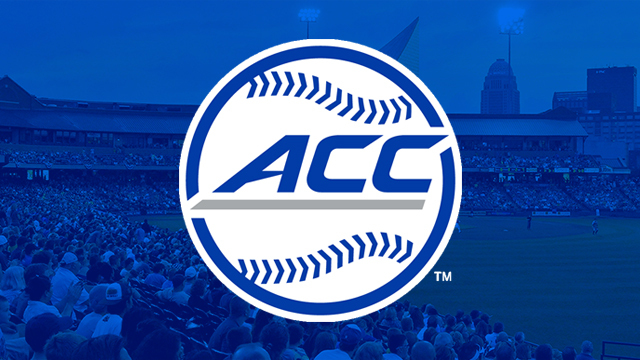 Last weekend the ACC reached the halfway point of the season. There are new leaders at the top of both divisions. In the Atlantic, the Louisville Cardinals (13-5), by virtue of their road sweep at North Carolina State lead the Wolfpack by one game heading into this weekends set of games. In the Coastal, Georgia Tech (11-7), after taking two out of three on the road at Boston College, now lead the division by a game over North Carolina. With the sweep of the Wolfpack, Louisville is now back in the Top 25. In fact, the Cardinals are ranked in five different major polls heading into the weekend. In all, there are seven ACC programs that are ranked in at least one major poll this week. Two of those teams are from Florida. The Florida State Seminoles are back after sweeping up at home vs #13 Clemson Tigers. The Miami Hurricanes are also in the polls after their sweep of Virginia last weekend. For the Canes, it was the program’s first-ever sweep of Virginia in Charlottesville. The Hurricanes have now won five straight. The Player of the week is Louisville freshman first baseman Alex Binelas. He hit .533 in a four and zero week for his team. Five of his hits went for extra- bases. For the seven day period, he went 8-for-15, with four doubles, one home run, seven runs batted in, and six runs scored. The Pitcher of the week is Florida State’s, Conor Grady. Last week, Grady was a workhorse for the Seminoles going a combined 12.1 innings. He did not allow an earned run while striking out twenty hitters. On Sunday, in the series finale vs Clemson, Grady went five and a third innings not allowing an earned run and struck out a career-high eleven Tiger hitters. Youth is being served at Boston College. Heading into their weekend series at North Carolina, the Eagles freshman are getting the job done both at the plate and on the mound. In the batter box’s, the five freshman hitters are a combined (126-for-420) a .300 average. They have scored 63 runs, and have driven in 60. On the hill, the five freshman pitchers have accounted for 113.2 (35.2%) of the 323.1 innings of pitching done by BC hurlers. Last season the Georgia Tech Yellow Jackets had maybe the best catcher in all of college baseball in Joey Bart. He was taken in the first round of last year’s First-Year Entry Draft by the S.F. Giants. It appears that the Yellow Jackets may have another backstop who soon could be among the players being drafted by a major league team. Junior catcher, Kyle McCann, is hitting.326 for Georgia Tech. He leads the team in both home runs (14), and in RBI (42). The home run total ties him for the conference lead while the runs batted in total has him fourth in the league.